In 1861, the 5th Earl (Philip Henry) Stanhope was approached by a Mr. Pollock, and asked whether he was aware that William Pitt's last private secretary William Dacres Adams was still alive. Adams was in his mid-80s, and living at 'The Old House' in Sydenham, Kent, then one of the largest private estates in the area. Stanhope was naturally interested in speaking with someone who once knew Pitt, so he wrote to Adams straightaway. Fig. 1: The Old House, Sydenham Road, Sydenham, c. 1895. Fig. 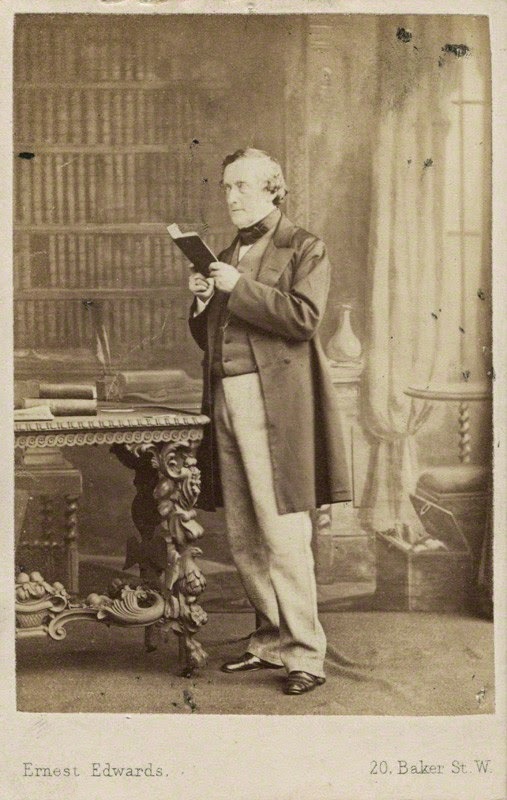 2: Philip Stanhope, 5th Earl Stanhope, by Ernest Edwards (1863), NPG, London. Stanhope and Adams met for luncheon at each other's houses, and swapped Pitt's papers (Stanhope was still writing his Life of Pitt). Stanhope also consulted Adams's reminiscences of Mr. Pitt, and his time as Pitt's last private secretary (May 1804-January 1806). It emerges from the letters that Stanhope and Adams were close during their short acquaintance; Stanhope implicitly relied on Adams's testimony. It is also apparent that Adams was genuinely fond of Mr. Pitt. In one of his letters to Stanhope, Adams tells him that he doesn't regret that Pitt's speeches are not more full and complete, "...because I think that any Report, however carefully and accurately made, would fail to convey an idea of their [Pitt's] power and affect upon the minds and feelings of the Hearers - or the overflowing emotion which they [the words] produced,"  and he reflected that "the spirit which animated them would be lost." Adams made a cogent point. Reading even the best Parliamentary orations in text form can never convey the same power over the mind as listening to the orator himself. Adams was fond of Mr. Pitt's memory, and in one of his letters to Stanhope he said that Pitt's death was "the first great affliction" of his life. Adams was 30 years old when Pitt died. James Stanhope, the 5th Earl's uncle, had given Adams a lock of Pitt's hair at his death. When Adams told Earl Stanhope about the lock of hair, Stanhope gave Adams a locket to put Pitt's hair inside it. Poignantly, Adams wore the locket around his neck until the time of his death. He was a man who truly revered Pitt. William Dacres Adams died on June 8, 1862. It may fairly be said that on that very day, the last living person who personally knew William Pitt the younger passed away. Adams's death marked the end of the living memory of Mr. Pitt's life. Since that time, we have had to rely on second-hand sources. 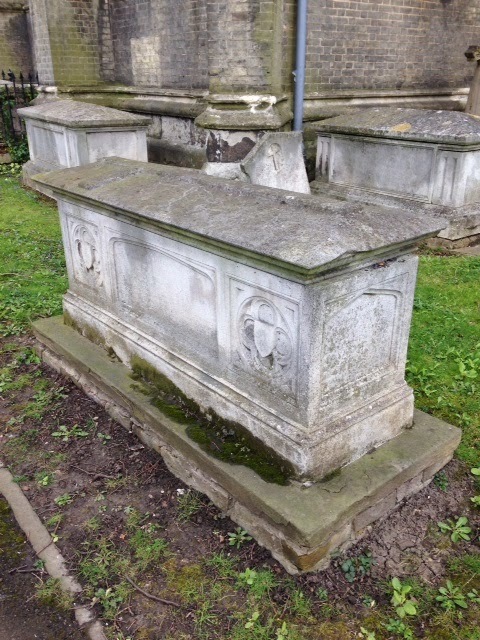 For those interested in William Dacres Adams, a man who truly loved William Pitt, he’s buried at St Bartholomew’s Church in Sydenham. 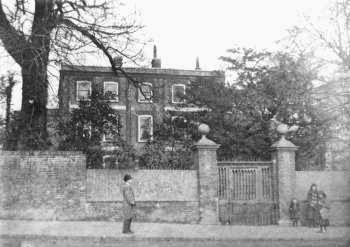 As was the fate of many Georgian properties in the 20th century, his house in Sydenham was demolished in 1902 to make way for new building developments. 1. William Dacres Adams to Philip Henry (5th Earl) Stanhope. Kent History & Library Centre, Stanhope of Chevening Manuscripts, Pitt MSS: U1590/C405/2. 5. http://www.ideal-homes.org.uk/lewisham/assets/galleries/sydenham/the-old-house. Accessed on 31 March 2014. Fig. 3: William Dacres Adams's grave, St. Bartholomew's Church, Sydenham (my photo). Fig. 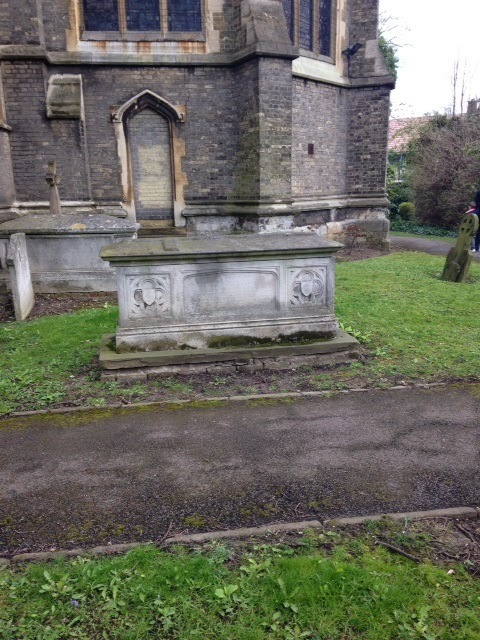 4: William Dacres Adams's grave, St. Bartholomew's Church, Sydenham (my photo). As you probably already know, William Dacres Adams named one of his sons after William Pitt. William Pitt Adams, who was in the diplomatic service, predeceased his father, dying suddenly in Lima in 1852. Another son, the Rev. Herbert Adams, had died shortly before. I have a copy of his (William Pitt Adams's) bookplate if you're interested in seeing it. Hi Chris! Thank you for getting in touch. Yes, Pitt's niece Lady Hester Stanhope was William Pitt Adams' godmother. I believe he was born at the end of 1804. I would be very interested to see his bookplate. How did you acquire it? I look forward to hearing from you soon. Pear Phan this ansestor did, indeed die in Lima. I hope to take my husband there - we believe there is a memorial to him.